Since July has a patriotic challenge here at Linnie Blooms I thought I go trough it almost all the way. 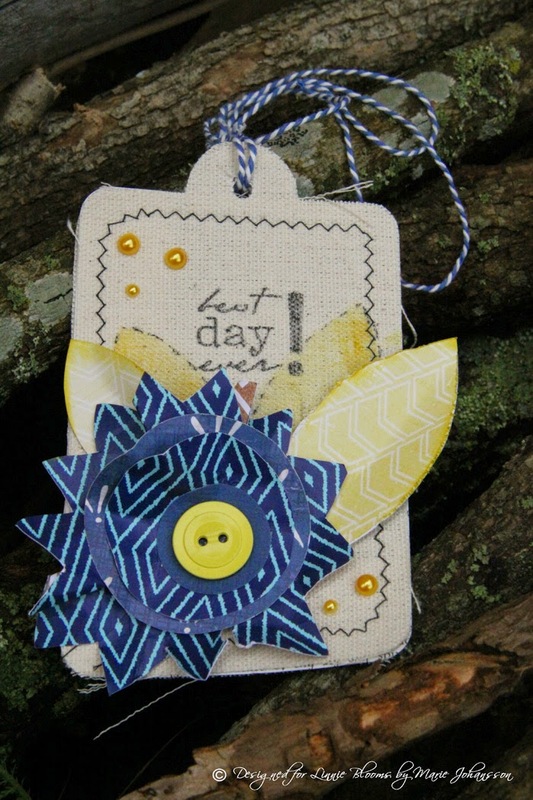 Therefore I did create this sweet tag with Swedish colors (blue & yellow). I made the flowers and leaves by using the Bloom Stencil and mask.